Backed with expertise we are actively engaged in manufacturing of Machine Single Strut Mount for our esteemed customers as per client need. The Strut Kits and Strut Mount Plates provide by us are made from high quality of raw material which ensure durability at its user end. 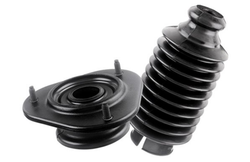 These Strut Kits and Strut Mount Plates are acclaimed by large number of customer. These products are available in market at affordable rates. 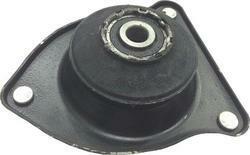 We are offering Strut Mount for most of the cars. Under the meticulous supervision of our highly skilled professionals, we are providing high-quality range of Strut Mounting. Made of: 100 % Pure NR Compounds to meet OE static And Dynamic Stiffness And Performance parameters. We offer assemblies for strut bar. These are used for suspension mtg. These are precision designed to provide best performance to the vehicles. Our company supplies our range of assembly to Piaggio Vehicles (P) Ltd.